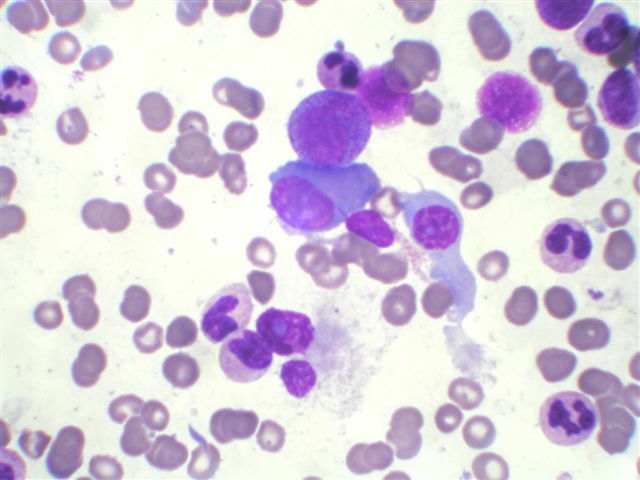 These cases can also be accessed by clicking on the Case of the Week button on the left hand side of our Home Page at www.PathologyOutlines.com.� This email is sent only to those who subscribe in writing or by email.� To view the images or references, you must click on the links in blue. 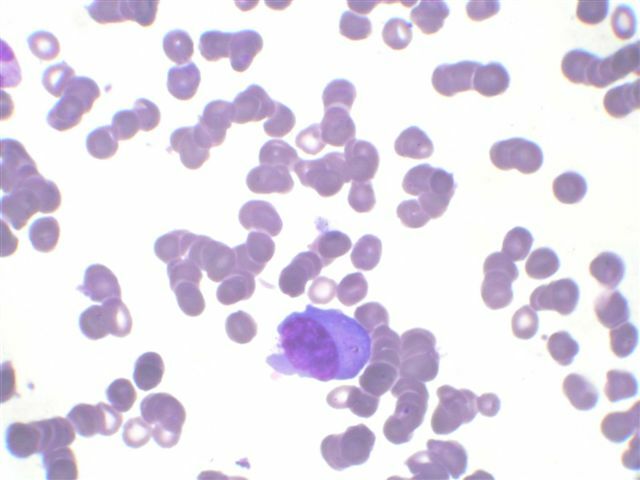 To subscribe or unsubscribe, email info@PathologyOutlines.com, indicating subscribe or unsubscribe to Case of the Week.� We do not sell, share or use your email address for any other purpose.� We also maintain two other email lists: to receive a biweekly update of new jobs added to our Jobs pages, and to receive a monthly update of changes made to the website.� You must subscribe or unsubscribe separately to these email lists. This email is sponsored by Pathology Service Associates, LLC (PSA), who invites you to read its new article on the Management page, The Case for Compliance: Why You Need an Effective Compliance Program.� To view the Management page, please visit www.PathologyOutlines.com, then review the topics under Clinical Pathology Outlines and click on Management of pathology practices.� For more information about PSA, please visit http://www.psapath.com/. 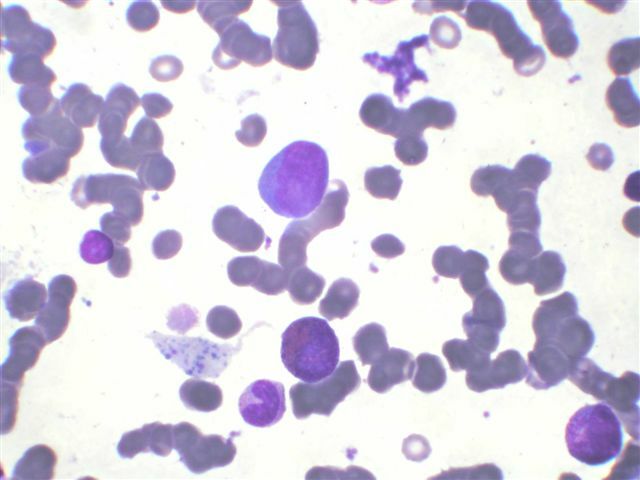 A 65 year old woman presented with backache and paraparesis.� A bone marrow biopsy and lab tests were obtained. 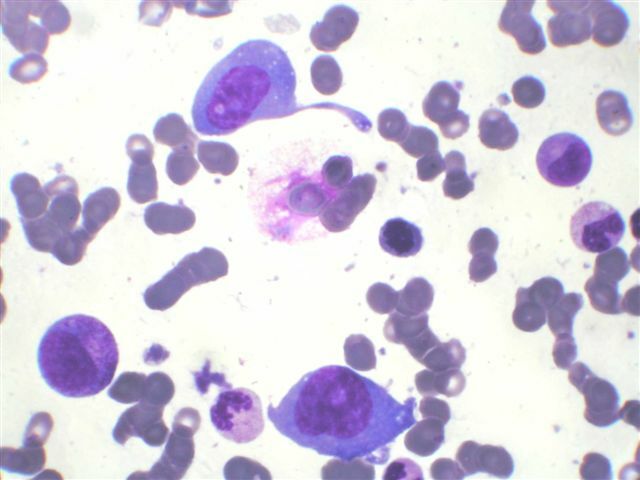 The bone marrow smears show anaplastic plasma cells and lymphoplasmacytoid lymphocytes.� The serum protein electrophoresis does not show a monoclonal band, as would be expected in classic myeloma.� The urine immunofixation electrophoresis shows a prominent monoclonal band in the kappa region, but no heavy cha�n immunoglobulins.� These features are diagnostic of the light chain subtype of myeloma. 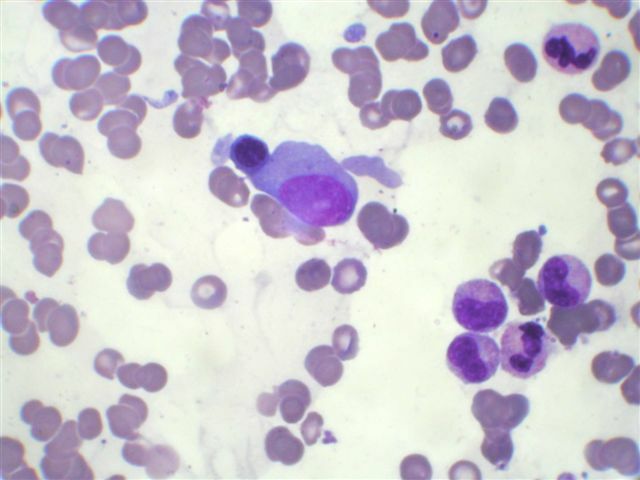 In light chain myeloma (also called Bence Jones myeloma), the neoplastic cells produce free monoclonal light chains but no associated heavy chain or complete immunoglobulin.� They represent 15-20% of all myeloma cases, and apparently are caused by the absence of IgH rearrangement at the DNA level, reflecting possible abnormalities in IgH gene recombination during B-cell maturation (Blood 2004;103:3869).� The monoclonal light chains are small enough to be freely filtered by the kidneys, and become Bence-Jones proteins. 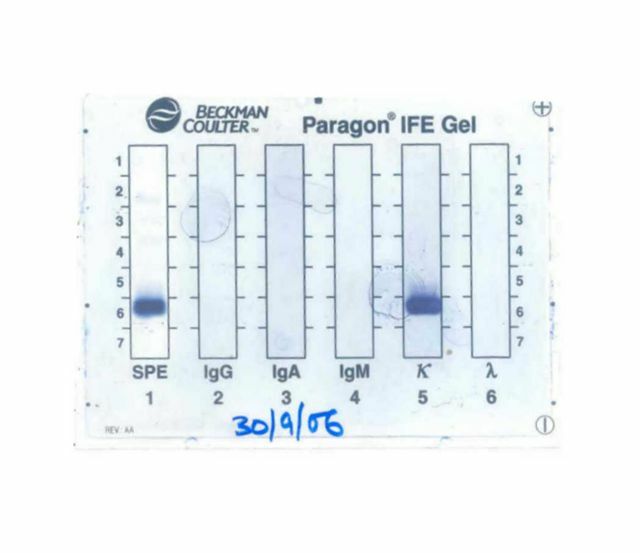 These patients may be diagnostic problems.� Their serum electrophoresis is normal and serum total protein is normal or low, which is not typical for myeloma.� They also have low serum gamma globulins, in contrast to the elevated levels in classic myeloma.� The traditional key to diagnosis is examination of urine, which contains Bence-Jones proteins.� Urine electrophoresis shows a monoclonal spike, and immunofixation locates it in the kappa or lambda region.� If one suspects light chain disease, there is now a serum antibody assay (Freelite) that is diagnostic (Lancet 2003;361:489, corporate link). Due to the heavy production of light chains, these patients often also have light chain deposition disease in the kidney (click here for this topic in the Kidney non-tumor chapter of PathologyOutlines.com). 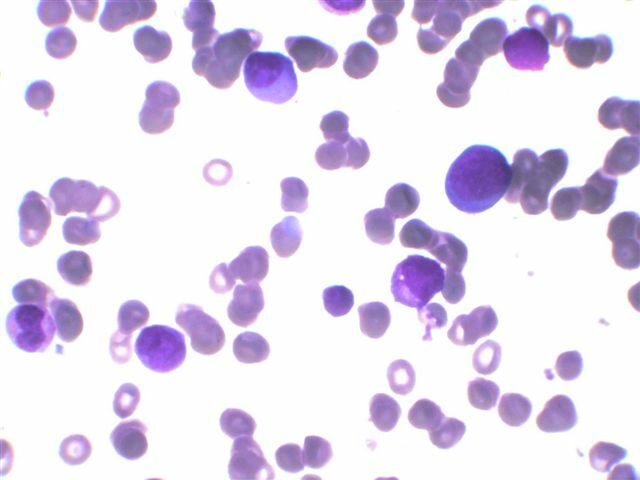 Surprisingly, despite the high prevalence of this disease, there appear to be no recent reviews of light chain myeloma discussing its prognosis or treatment.